I found more than a few places in the film that reminded me of a certain contemporary film with a similar premise to this film and I wonder if this would have been something they looked at or not. But more on that in a bit. 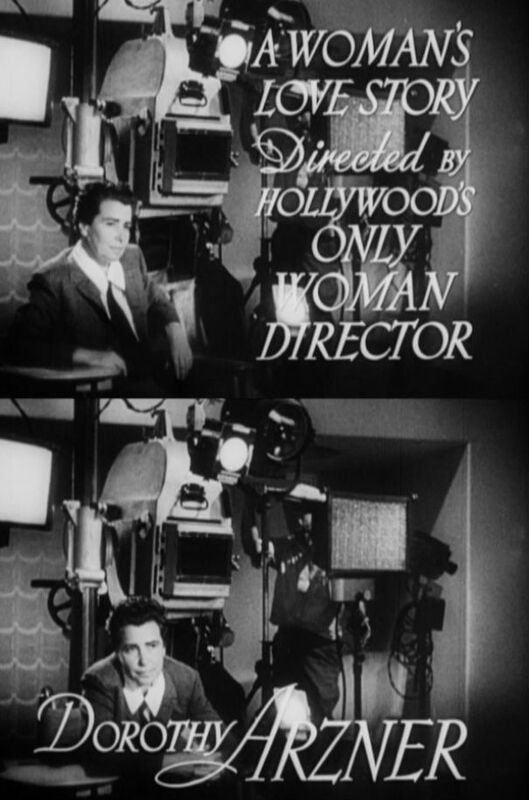 Dorothy Arzner started out in Hollywood in the 1920s, going from stenographer to film editor and eventually becoming the only female director working in the studio system. You can read more about her here. As far as I know, it’s still not really known why she quit directing in 1943, but it surely was a loss for industry. I haven’t seen enough of her films, but I do also highly recommend Merrily We Go To Hell with Fredric March and Sylvia Sidney. Also of note, the film was edited by a woman – Adrienne Fazan – who would later collaborate with Vincente Minnelli eleven times, eventually winning an Oscar for her work on Gigi. The plot of this film revolves around a drunk count in Trieste who goes to its worst dive bar, convinced that who one is in life – a gentleman or a common man – is all based on chance. He picks up a singer named Anni (Crawford) and sets her up in a fancy hotel in the mountains for two weeks, just to see how she mingles with society. After he sets things up and gives her some money, we never see him again. The film I said parts of this remind me of is none other than Pretty Woman. Before she goes to the mountain resort, she gets a new wardrobe. Her wide-eyed delight at the idea of getting all the clothes she ever wanted is wonderful and feels so real. As does the disdain emoted by the shop’s owner, though unlike Pretty Woman, she serves her with a forced smile. 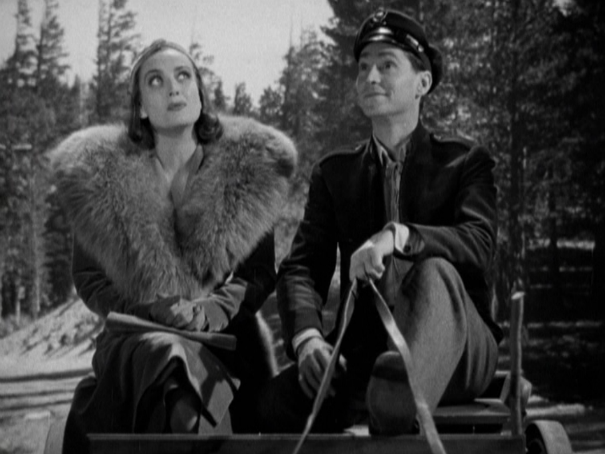 By a chance of fate – and blackberries – the car from the hotel fails to pick Anni up at the station and she must ride with the postman (Franchot Tone) in his donkey cart. 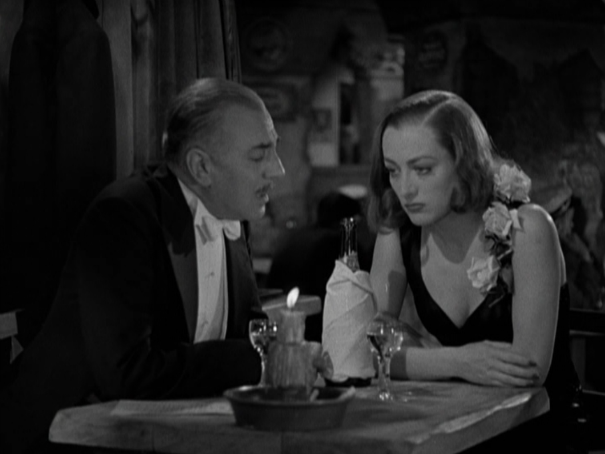 This would be the last of seven films Crawford and Tone – who at this point were married – would make together. They have such amazing chemistry and every time you see them in a film together, you’re pretty sure they’re going to end up together. 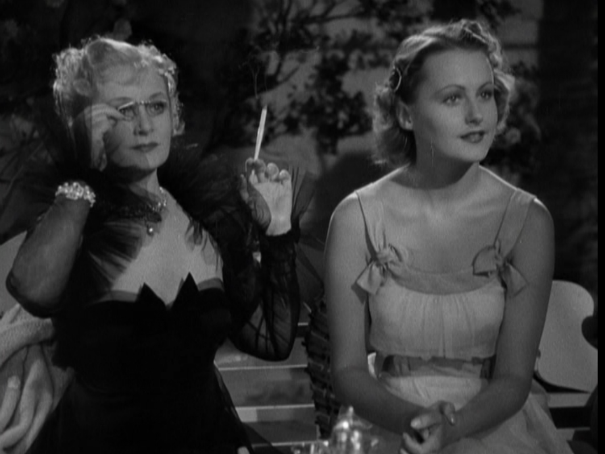 Although, that’s not always the case (because, you see, in Old Hollywood you only get the girl if you are the biggest male star in the movie, and that wasn’t always the case with the Crawford-Tone movies). His postman is doofy and strange and sweet and sincere – the last thing a regular woman pretending to be high society needs. Once she gets to the hotel it turns out her maid was an old friend from the dive bar (go figure!). I love the first scene of them together. 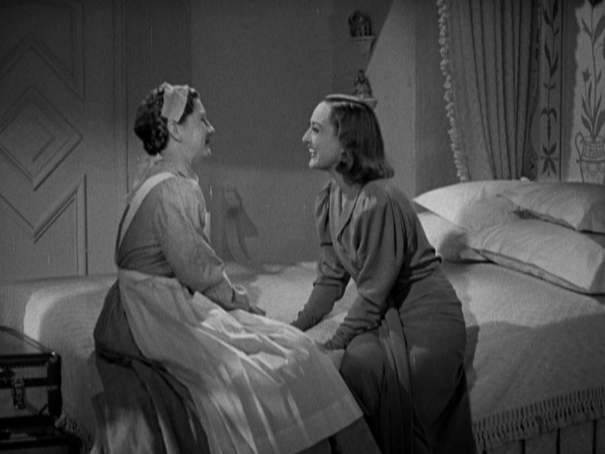 The dialogue is hurried and overlapped, but you can just make out that they’re telling each other about their other lady friends (someone had a baby!). This is a touch I think came from having a woman director. It feels like to real, old friends meeting for the first time in years and that realism comes at the expense of some dialogue. 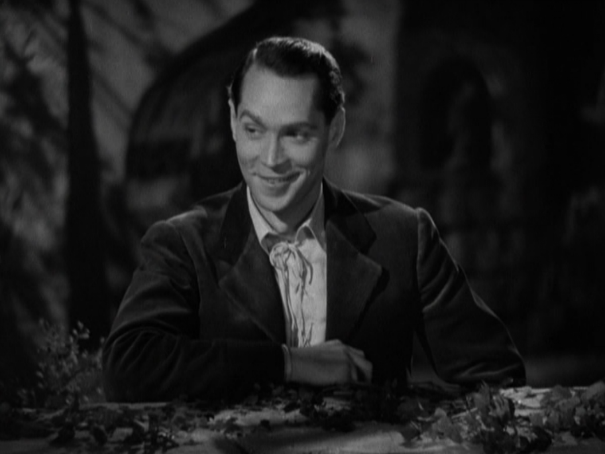 I just have to throw this saucy picture of Franchot Tone into the mix. He’s realyl quite adorable in this movie. 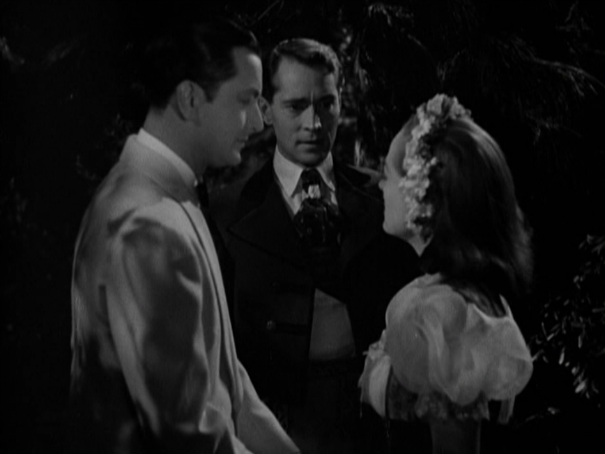 Anni sets her sights on a rich man (who also set his sights on her, and who also happens to be friends with the Count who set Anni up in this situation), thus she begins spending a lot of time with him and his soon-to-be in-laws and his fiancée. His fiancée Maddelena (Lynne Carver) is one of those super sweet, overly patient kind of women you see often. The long-suffering wife. You get the idea that they’ve been engaged for a long time and his eye has wandered more than once, but she stands by him. But she’s given some moments where she is just so nice – and it feels natural — that you can’t help but feel real bad she’s stuck with such a jerk. The mother-in-law is played to acid perfection by Billie Burke (who is always good, to be honest). 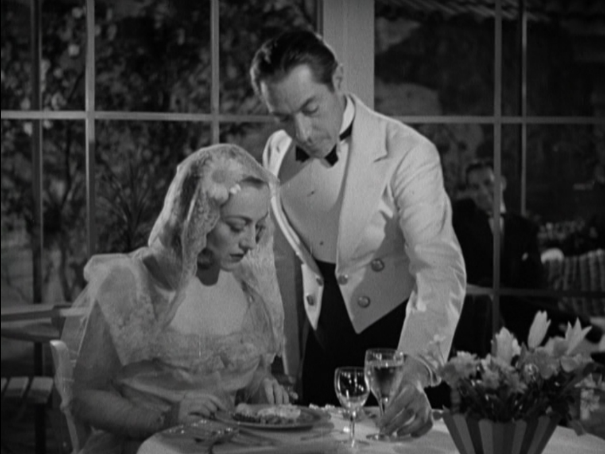 Rudi Pal (Robert Young), the rich guy, openly “makes love” as they say to Anni, but eventually she realizes she can’t pay her hotel bill and she’s gotta marry him but fast, or face the financial consequences. This leads to a heated verbal spat between the two wherein he stealthy asks her to be his mistress and she basically tells him to go to hell. But lust wins out in the end, and he promises to break his engagement and marry Anni. They then run into a drunk (maybe) Giulio (the postman), who asks for a dance. Rudi and Anni kiss right in front of him and the direction of this scene is so good and so messed up. I had to rewatch it a few times. All three players are so good and there is so much at stake. It’s got to be one of the most loaded kissing scenes I’ve ever seen. I’m not going to spoil the end, so I’m going to leave things with this hot shot of Joan in the sparking red dress of the title. 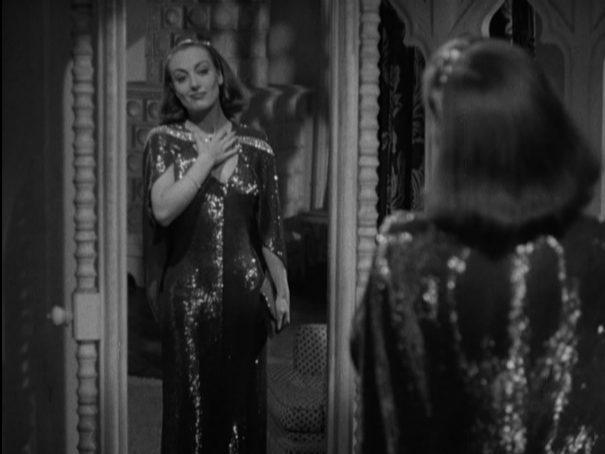 It’s a shame they couldn’t have 5 minute Technicolor sequence just so we could see this dress in all its Adrian glory. If you are a Joan fan, don’t miss out on this film. And if you are interested in the history of women directors, ditto. Posted on May 9, 2014, in Female Filmmaker Friday and tagged 1937, Adrienne Fazan, Billie Burke, Dorothy Arzner, Franchot Tone, George Zucco, Joan Crawford, Lynne Carver, Mary Philips, Robert Young, The Bride Wore Red. Bookmark the permalink. 8 Comments. Hi. 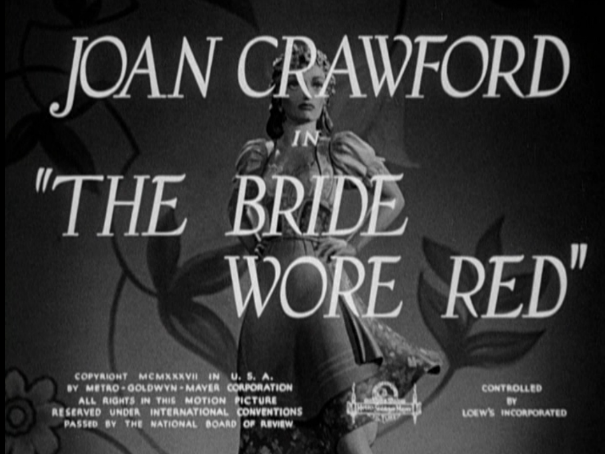 I just came across this post as I’m about to write about “The Bride Wore Red” for my blog. I’ve been writing a fair bit on Joan lately myself. 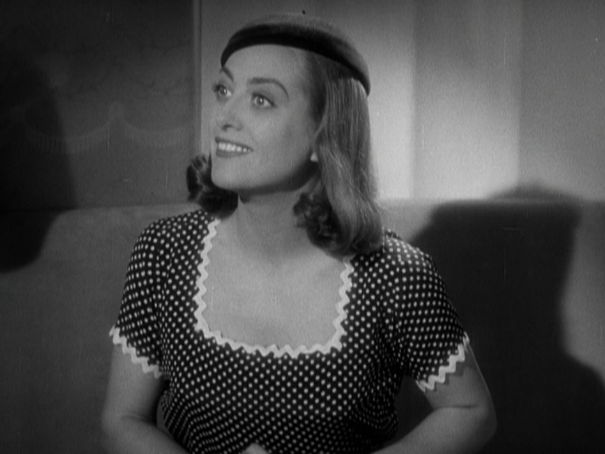 I’m also hosting a Joan Crawford blogathon in July, and would love to invite you to participate. The link is below with more details. Oh this is great! Thank you!